Camp Hale, Red Cliff, Colorado| July 20, 2019| 9 a.m.
Bib Pickup is available on Friday, July 19th from 3pm-6pm at a location to be determined and communicated. Bibs can also be picked up at the race start from 7:30am to race start. Half Marathon returns to Camp Hale on Highway 24 South of Red Cliff, Colorado. Race will begin at 9am on Saturday, July 20. Race Day will also include a 10k and 5k. Bring the entire family and enjoy a great day of trail running, unique views of some of Colorado's tallest peaks and the best swag from National brands. The Half Marathon course will utilize the well-maintained dirt roads, The Continental Divide Trail, and Colorado Trail surrounding beautiful and historic Camp Hale. This will be a rare opportunity to compete on the same terrain that the troops of the 10th Mountain Division used for training prior to World War II. 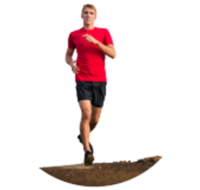 The 13.1 mile course is situated at 9,200 feet above sea level and will have minimal elevation gains reaching peak heights of 9,500 feet. 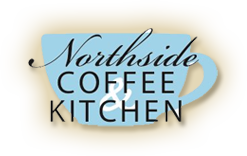 Thanks to our Racer Refuel sponsor, Northside Coffee & Kitchen, for providing nutritious, local and tasty food to fuel to help you recover from the grind of race day competition. All racers will receive a tech t-shirt.